Previous posts have covered Australia Cardinal George Pell’s penchant for the finer things of life, such as his palatial $30 million Roman holiday home, “Domus Australia”. This appears to be in conflict with the new guy in the Vatican who promotes a more humble existence. Now, we have the explanation from the horse’s mouth. 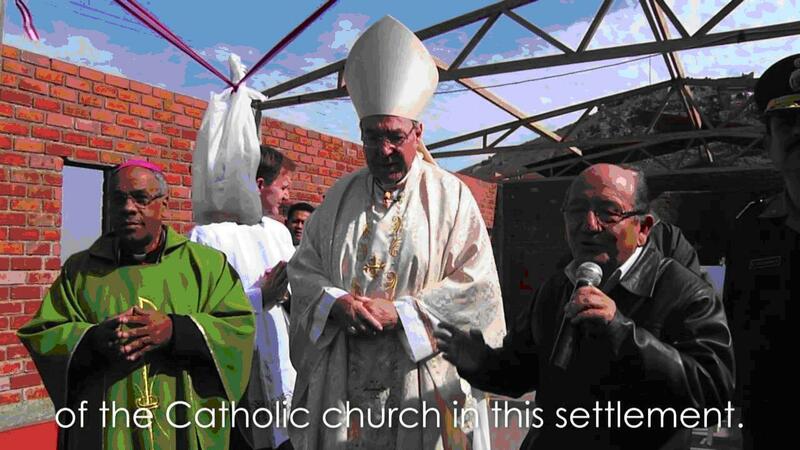 Pell told Gerard O’Connell of the “Vatican Insider” earlier in the year that “The Holy Father is an old style Jesuit, he’s taken a vow of poverty and he takes it seriously. Most of the rest of us haven’t taken a vow of poverty.” When things got a bit boring at “Domus Australia”, George took some time off to fly half-way around the world to accompany about 40 “pilgrims” (no, we’re not tourists!) to Rio. 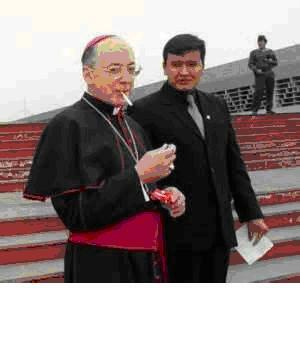 On the way, he stopped off in Lima to catch up with an old mate, Cardinal Juan Luis Cipriani Thorne (pictured below). George may feel hardly done by in being accused back in Australia of being complicit in a cover-up of priestly child sexual abuse, but poor old Capriani has even more problems. He was accused of having been complicit in a massacre of schoolteachers that took place during an anti-terrorism operation. 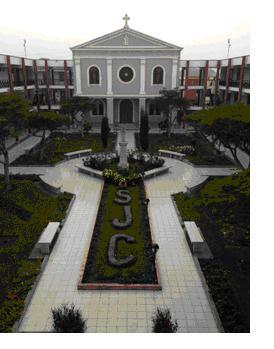 Since Pell has not taken a vow of poverty, he chose to stay at the Retreat House run by the Sisters of San Jose of Cluny (pictured below), which was not quite up to “Domus Australia” standard, but what can you expect in a country as poor as Peru? 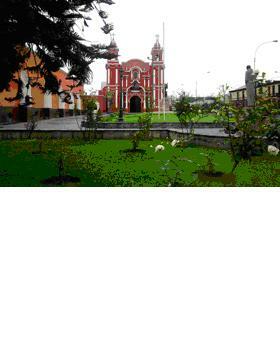 The Harvest Tours brochure lists several sight-seeing attractions for pilgrims in Peru. Shanty Town? Oh, yes, indeedy! This is for spiritual development. 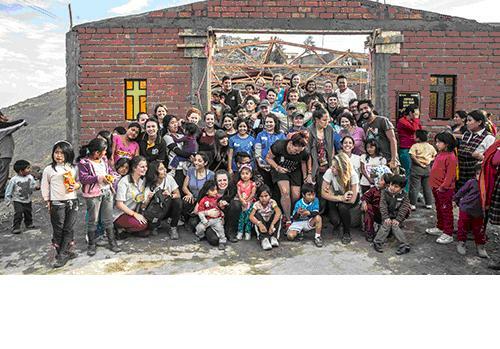 As the brochure proclaims, “Enter into the rubble of the shanty towns and discover a surprising joy and faith amidst a resilient people that will profoundly inspire your way.” It goes on to note that “Paved roads don’t exist, the supply of electricity is haphazard and the rudimentary sanitation is the result of local initiative. Pigs and dogs are plentiful. Water is delivered by trucks and trees are rare. 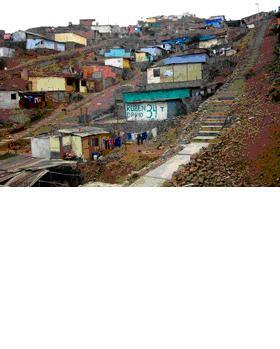 Families squat where they can find space on the hills.” Yet, apparently they are very happy. Perhaps they all took a vow of poverty. 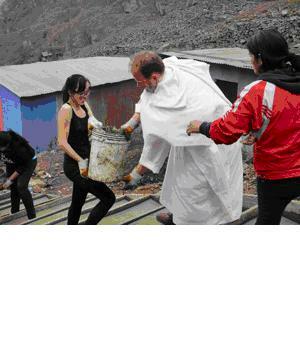 The concrete steps in the shanty town photograph are being constructed by the hundreds of pilgrims, who paid about $3.5 million for their trip to it. 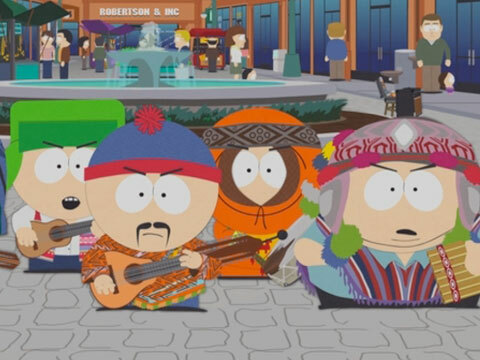 The world has seen ecotourism, voluntourism and paedotourism. 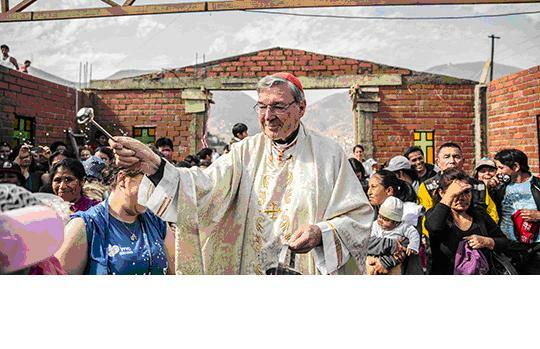 Now Pell’s favourite tourist company has introduced “povertytourism”. What will they think of next? 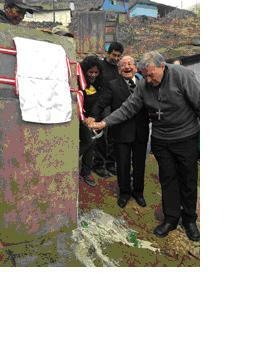 Although the steps are far from completed in the 400,000 resident shanty town, they were officially opened and blessed by Cardinal Pell, who smashed a bottle of champagne with a hammer to mark the occasion. Hopefully, the pigs and dogs did not lick up its contents. 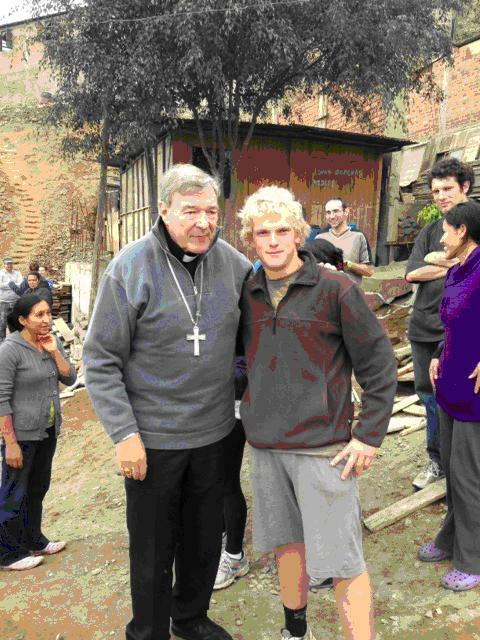 George then posed for a few “selfies” with the hard-working pilgrims. 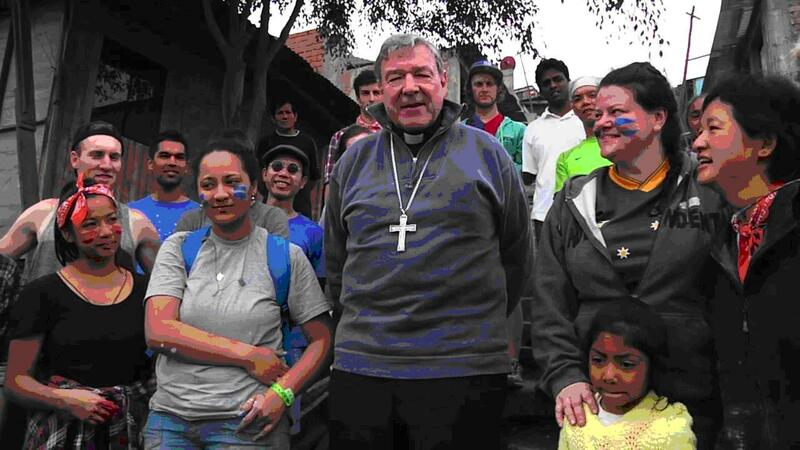 “Last night I returned home with five young people covered in paint,” Bishop Anthony Fisher OP wrote on the WYD – Catholic Diocese of Parramatta blog (http://www.sydneycatholic.org/news/latest_news/2013/2013717_1518.shtml). Eventually, everyone wanted to have their picture taken with the steps, now officially known as “The Cardinal’s Steps”. The locals appear to have chosen to remain indoors while the rich people from Australia posed near their homes, so as not to get in their way while the steps were being constructed. This will make a GREAT mudslide in the wet season – wheeeeeee!!!!!!! Meanwhile, back at the Retreat, Fr. Greg Morgan has his photograph taken in front of the marble steps. Of course, it’s not always just champagne and steps. 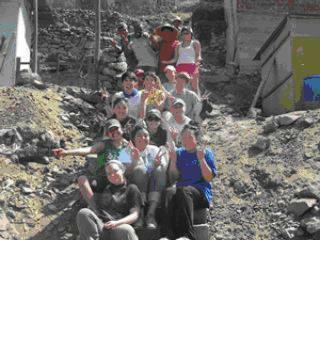 The pilgrims and others are slowly but surely erecting a chapel where locals can offer up thanks for their steps. 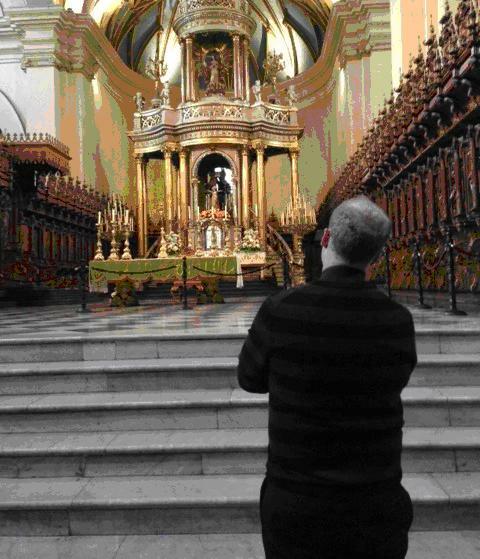 Here, George blesses the chapel watched by grateful locals. Fortunately, given the absence of a roof, it was the dry season. The blessing is required since the structure, erected by amateurs, lies in an area frequently rocked by earthquakes. When the locals left, it was time for the obligatory media interview, on site, so that the rest of Peru could know of his largesse. It required a change of hat, and a more somber expression. Of course, one should never waste a photo-opportunity. Here, we see pilgrims and selected locals together, marking the plaque (on the right, next to the beautiful stained glass window from Peru Wal-Mart) recording George’s opening of the chapel. Happy pilgrims with happy local kids, who received “small gifts”. 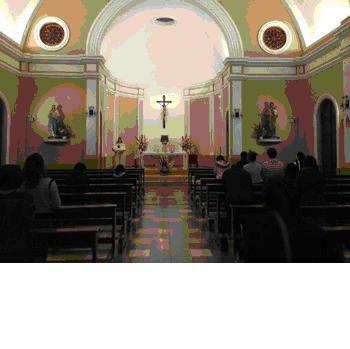 Finally, everyone went back to Retreat House Chapel, where the pilgrims offered up thanks they weren’t poor Peruvians. 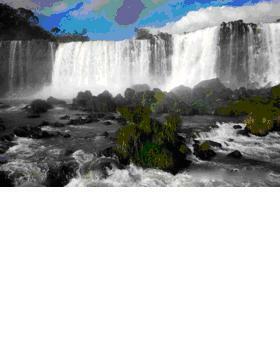 After Lima and Rio, everyone, including George, needed a few days to reflect on things staying at their accommodation (pictures not available) located near the magnificent “Iguazu Falls” on the border of Brazil and Argentina. Then it was back to Rome for more “reading” at Domus Australia. TOMORROW: George goes to Turkey, again and again …. This entry was posted in Uncategorized and tagged Bernard Toutounji, Cardinal George Pell, Cardinal Juan Luis Cipriani Thorne, Catholic Cardinal George Pell, Dan Saban, Domus Australia, Fr Paul Rowse, Fr. Greg Morgan, George Pell, Harvest Tours, Iguazu Falls, Lewin Blazevich, Lewis Blayse, povertytourism, Retreat House, San Francisco Hotel, Sisters of San Jose of Cluny, St. Rose of Lima Church and Sanctuary, Sydney Catholic Youth Services, The Cardinal’s Steps, Vatican Insider, vow of poverty. Bookmark the permalink.